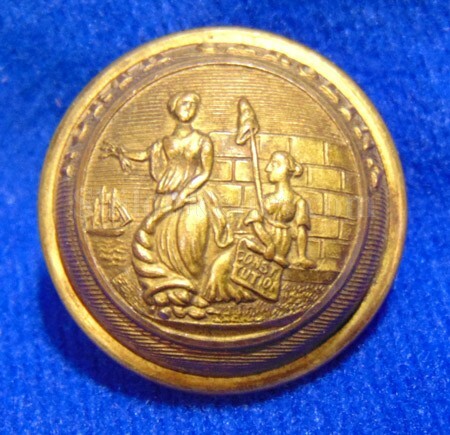 This is a rare version of an attractive Civil War era North Carolina state seal staff officer uniform button. This is the style listed as NC3 in Albert’s book and SC207a1 in Tice’s Book. 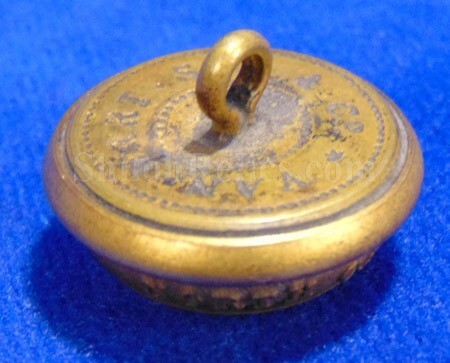 It has fine detail to the face of the button and traces of gold through the beautiful patina. The button face has the image of the state of North Carolina. 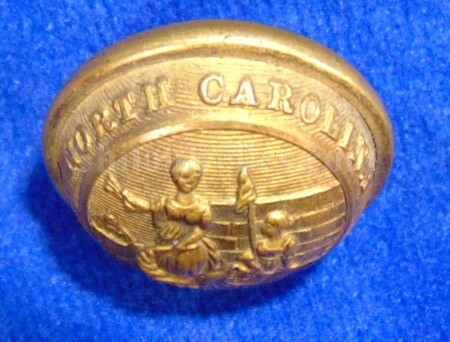 These have the famous North Carolina state seal on the face of the button with the bold "NORTH CAROLINA” across the top edge. These have the very high quality die strike to the face with beautifully crisp detail. 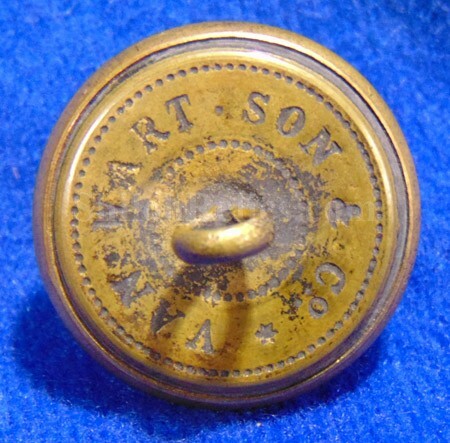 These buttons made in England for the Confederacy for use by the North Carolina troops.On the back the shank is complete and you can clearly see the correct Civil War backmark of "VAN WART SON & Co.”. 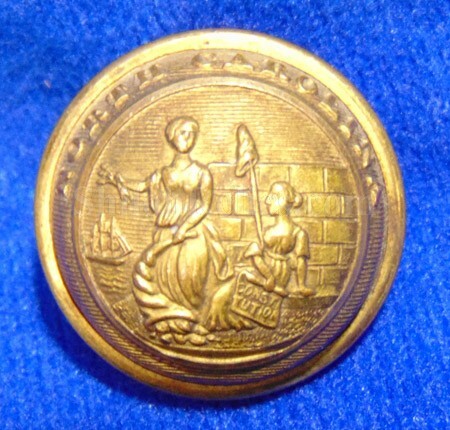 Van Wart manufactured buttons in England for the Confederacy. There is quite a bit of debate about whether or not they ever made it over here in time to see service and they are priced accordingly. This is a very fine displaying and very scarce style of Confederate North Carolina button.